Darwin is one of Australia’s northernmost cities, and its location in the sunny tropics makes it one of the best places in Australia to install a solar PV system. The 1-for-1 Solar Buyback scheme on offer through NT PowerWater means great returns on investment for those who find the best deal on solar power. This article covers the basics of what you need to know about going solar in Darwin. Why go solar in Darwin? Although it probably goes without saying, it’s worth mentioning that solar panels only produce electricity during daylight hours; the exact amount of energy produced on a given day depends on the intensity and duration of the sunshine. The average Darwin roof will receive an average of about 5.9 hours of ‘peak sun’ per day on average over the course of a year, according to figures from the Bureau of Meteorology. This is one of the highest rates of solar insolation anywhere in Australia. The amount of energy actually produced by your solar system will depend on the size of the system that you have installed and its orientation. The table below provides an indicative guide as to how much energy various, popular residential system sizes would produce per day (averaged throughout the year) in good conditions. Which way should you tilt your panels in Darwin? Because Darwin is in the tropics, the sun is sometimes to the north (‘winter’ months) and sometimes to the south (‘summer’ months) of a given building. For maximum overall solar yields, this means that a near-flat tilt angle is the best, but thanks to ample sunlight and the PowerWater’s high feed-in rates, virtually all other orientations and tilt angles are acceptable as well (as long as there’s no major shading, that is). Please also keep in mind that due to Darwin’s location in a cyclone-prone region, certain building certifications are required for installing rooftop solar systems. Learn more about them here. 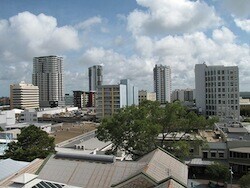 Darwin is the last capital city in the country to still have a state-backed solar feed-in incentive scheme. A ‘1-for-1’ solar feed-in tariff is available through local utility PowerWater for systems up to about 5kW, meaning that anyone who owns a solar system will receive a bill credit equivalent to their retail electricity price for each unit of solar energy that they send into the grid. In terms of energy bill savings, this program effectively turns the PowerWater grid/network into a collective battery storage system for solar system owners – regardless of whether you manage to ‘self-consume‘ your solar energy or send it into the grid, you will save the same amount of money. As an example: If a home pays 26c for every kilowatt-hour (kWh)of power that they buy from the grid, they will also be payed 26c/kWh of solar power that is exported to the grid. Solar system owners will not benefit any more from self-consuming their solar power than exporting it to the grid, so there is no need to manage the timing of electricity use to maximise the benefits afforded by the system (as is the case in most other parts of Australia). In a nutshell, the 1-for-1 buyback lets you sit back and enjoy your solar savings without altering your behaviour! Federal government’s Renewable Energy Target provides an up-front incentive for solar systems which is passed through to you by the company that sells you your system. Generally, when you look at a solar system quote, this incentive is incorporated into the final price, so all that you have to do is compare quotes without having to worry about how much the incentive is. For reference, however, it works out to be roughly $3,000 to $3,800 in Darwin and most of the other tropical areas of Australia. Is solar power worth it in Darwin, NT? PowerWater’s generous 1-for-1 solar buyback program goes a long way in making solar worthwhile for Darwin residents. The table below gives a rough estimation of payback period, internal rate of return (IRR) and annual savings for two popular system sizes in Darwin at current average prices (see our Solar PV Price Index for up-to-date indicative pricing). Please note that we’ve taken a conservative approach here, and that even better results may easily be achievable by shopping around for a good deal on a system. Try the numbers for yourself: How much can you save with a solar system in Darwin? Solar Choice, as Australia’s free Solar Energy Brokering and advice service, assists customers in identifying the best deals on offer anywhere in Australia – including Darwin. 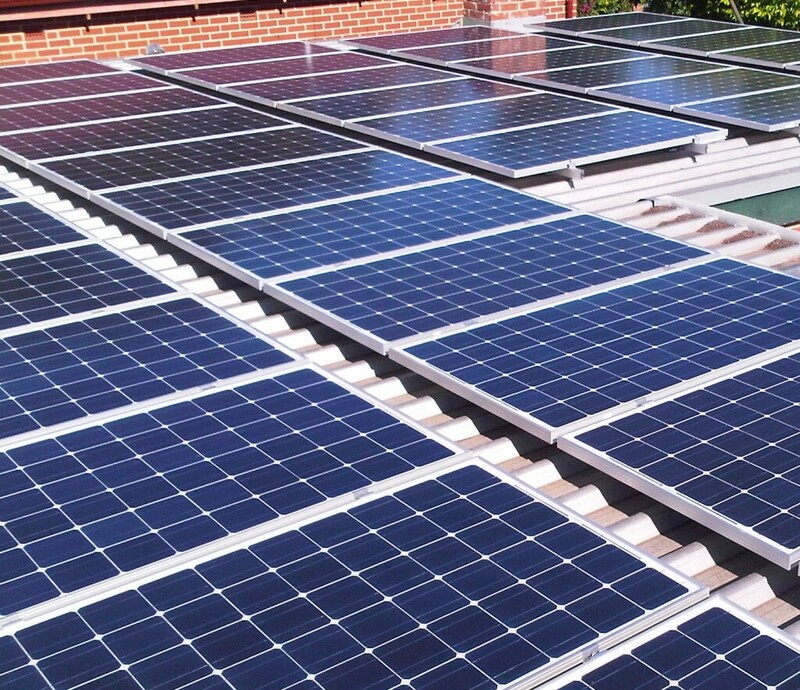 Request a Solar Quote Comparison today by completing the form on this page or via the button below.